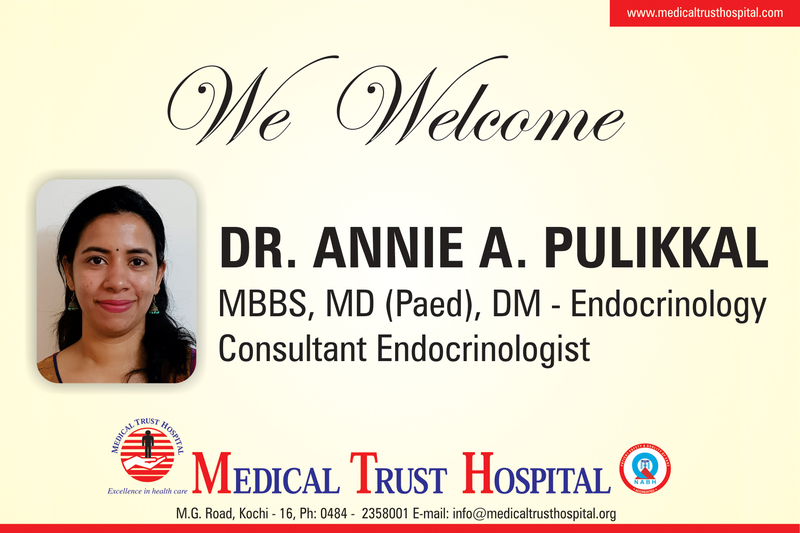 Medical Trust Hospital takes extreme pleasure to announce that Dr. Annie. A. Pulikkal, MBBS, MD (Paed), DM – Endocrinology has joined our hospital as Consultant Endocrinologist. We extend a hearty welcome to her and hope her services will add new dimensions to our healthcare.